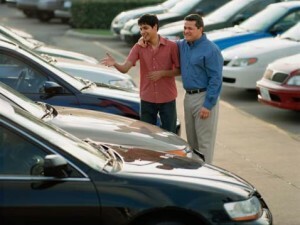 Deciding on a new family car is both exciting and overwhelming. While you may be interested in safety features, your children might be needing extra room in the back, and your partner may be really looking for a gas saver. A car can either be a great investment or a terrible one; so choosing the right car is important. Here are some things to consider when deciding on a new car. Different models of cars offer different types of safety features. You can check out the National Highway Transportation Safety Association (NHTSA) website, or the Insurance Institute for Highway Safety (IIHS) website to view accident test ratings for newer vehicles. Determine what’s most important to you when it comes to safety features, and pick a vehicle that rates highly in those areas. In general most newer vehicles meet a pretty high safety standard, and are equipped with great features such as the LATCH system for child safety seats, advanced airbag features, and side impact airbags. While it’s unusual to see a newer vehicle that lacks in the safety features, it’s still important to look into the ratings and make sure that the vehicle you’re interested in meets your expectations. Whether you’re packing around infants or teenagers, a whole brood or one child, going long distance drives or inner city drives, and what type of weather you’ll be driving in all matter when choosing a car. If you’re planning on using your vehicle for a lot of inner-city driving, consider the parking conditions and whether or not you need to look for a smaller car to fit into tighter spaces. Weather is something to be considered heavily. Having a vehicle that doesn’t do well in the snow while you’re traveling with your family in the middle of a snow storm may not go over well. If you’re in need, find a car with 4WD or AWD so that you and your loved ones are safe during every season of the year. Whether you’ve decided on a truck, car, SUV, or van, it’s important to take the car you’re wanting to purchase out for a spin prior to signing on the dotted line. A simple search such as “Ford dealership near me” on your computer or smartphone will give you the contact information for a car dealership near you where you can take your potential new ride for a drive. While you’re taking the car for a drive pay attention to how comfortable you feel with the size of the vehicle, the positioning of the seats, and the accessibility of the features you find important. It’s especially important to pay close attention to used cars; as they normally don’t carry warranties or guarantee’s if something goes wrong with the car once you’ve purchased it. Buying a new vehicle can seem overwhelming, but don’t allow yourself to give into the first option that seems appealing. Do your homework, and make sure that you make comparisons to other vehicles prior to making a purchase.